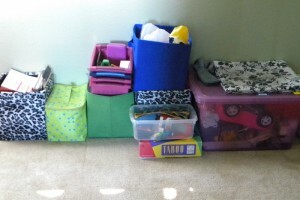 Seizing My Day » Blog Archive » Turkey burgers & nutella… on a boring weekend! Turkey burgers & nutella… on a boring weekend! On the 4th of July we ate these little babies! Hubby and I loved them… neighbors asked what was grilling … and my friend Heather enjoyed one with a thumbs up too! my picky eaters ate them without too much fuss… I will take it! We are really lame parents… and decided to take advantage of the 3 day holiday weekend as a work weekend… since the rest of our month is crazy busy FUN! 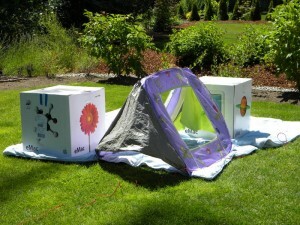 =) don’t worry the kids were happy despite the lack of plans and fun!~ wouldn’t you if your mom and dad gave you these!? I think there was a museum and a store involved in their day…??? here are a few pics of our madness! 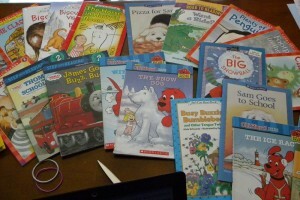 1/2 the kids books… maybe 1/3 ?? 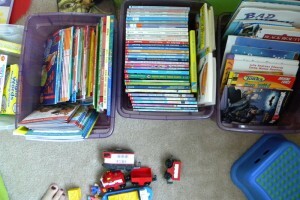 Most purchased at Goodwill or Value Village or garage sales… just saying! 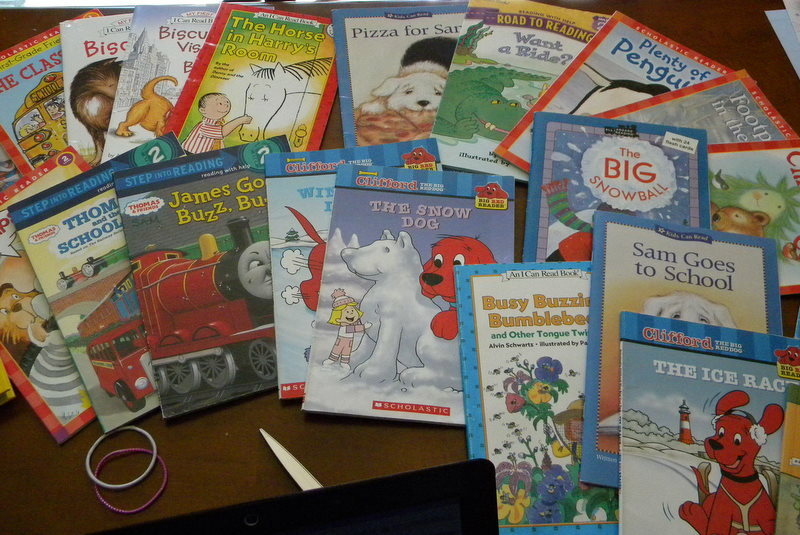 we could make some serious money at 50 cents a book… I don’t want to know how much I spent to acquire them~! 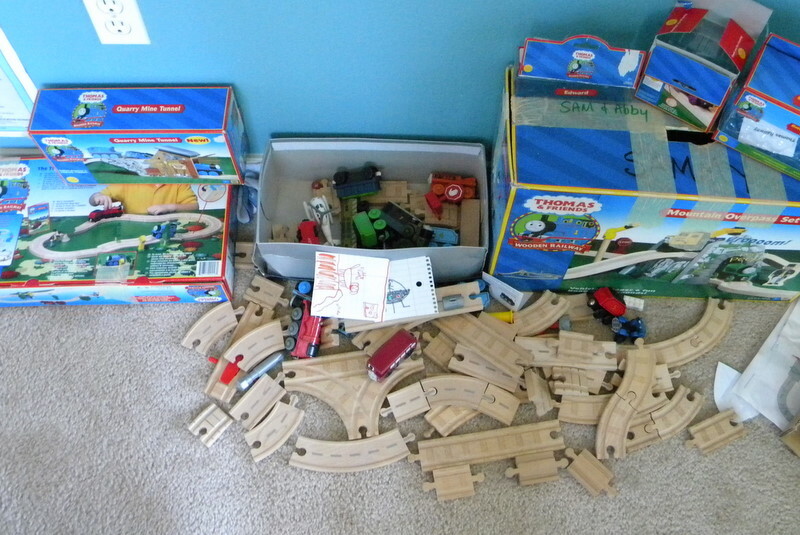 the Thomas stuff just needs sorting… not much of this will be parted with! just stored. it is a sad day when your children stop playing with Thomas. don’t let the bins fool ya! and so does this area.. I liked the monkey lamp for many reasons! ah ha ha ha! On the evening of the 4th …We did stop and have our yummy BBQ dinner and then had a couple of friends over (last minute) for drinks and cards.. which ended up being drinks and laughter instead… =) and we watched a few fireworks in the neighborhood .. before watching a fireworks show on tv… we were spoiling Merlin… not sure how he would do with his first 4th… he was nervous but fine… =) and then we had a family sleepover in mommy and daddy’s room! including Merlin! ha ha! Oh.. the good news is… before the garage madness.. hubby mowed the lawn and weeded ALL my flower beds… because he is an AMAZING man! 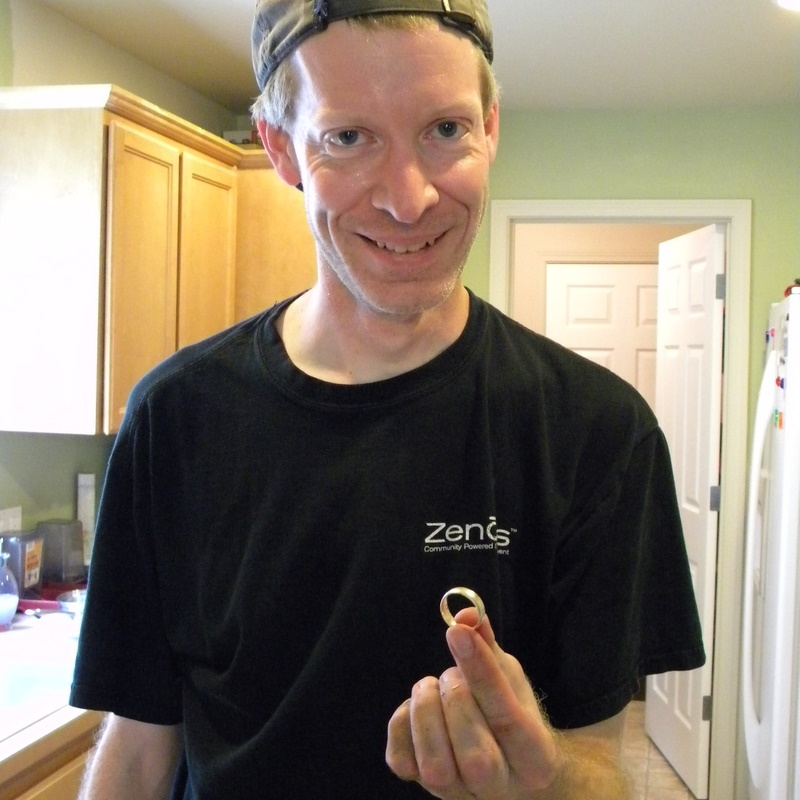 =) and guess what… My sweet man found his lost wedding ring! did I tell you the lost wedding ring story? 3-4 weeks ago.. my man lost his ring… and he was Sooooo upset … he spent HOURS looking for it! HOURS! he even rented a metal detector to look for it the next day. nothing. he was not a happy camper… which is why I probably did not post about it. His bad wife… oh… that would be me… teased him for renting said metal detector.. telling him it would turn up if it was meant to be… but I knew he loved me without the ring… so cold hearted I am about “stuff” .. anyway…while weeding MY pathetic flower beds for me… he found it… NO where near where he thought he lost it (in the back near the woods) Needless to say He is Sooooooooo Happy… see that relief!! =) Huge blessing! and I am now in therapy to learn to me more sympathetic to his sentimental heart! Speaking of my Amazing hubby… (sorry can’t help it… he is amazing!) … he is coaching my little girls soccer team this summer… it was not planned and sad when the old coach & some players left the team… but it has been a wonderful experience for both him and little girl! God works in mysterious ways! Can I brag about praise my little girl for a minute? Our little girl has been playing soccer for 2 years now… she loves it… and though she started off a very timid player… she has blossomed into a talented little soccer player!! We are very proud of her! She has this fantastic ability to keep her eye on the ball and go where the gaps are …she is good at swooping in and playing the ball! 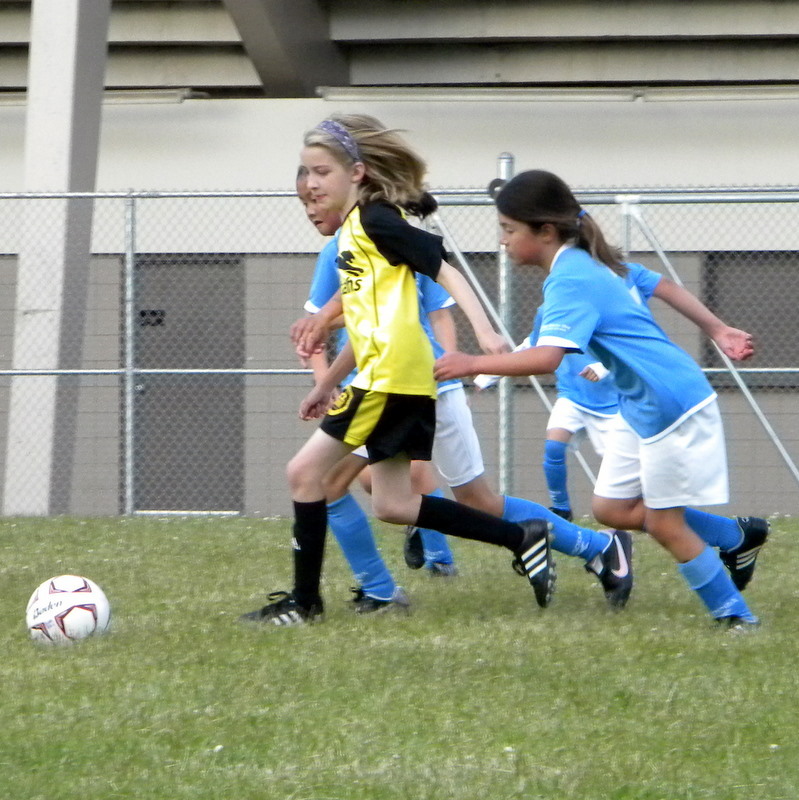 She quickly developed some fancy footwork that always amazes me… and more recently she has turned into a great sweeper for defense.. AND… apparently has become a fantastic forward…This little girl.. Scored 3 ~ yes 3 Goals for her team last night!! Way to go Abby!! the only horrible thing is ~I was NOT there to witness it!!! UGH!!! I will NEVER miss a game again! put the pepper, onion & cheese & herbs into a mini chopper and whirl it around until they are very finely chopped. mix that with the egg white, the meat and bread crumbs. mix until all the egg is blended in well. for into small mini burgers.. place on a greased plate and freeze for a 1/2 hour? then give it to your man to BBQ and don’t thing about that part b/c you are terrified of said BBQ and you don’t go there~! =) but hand your man BBQ sauce and mini mozzarella cheese slices for the tops. 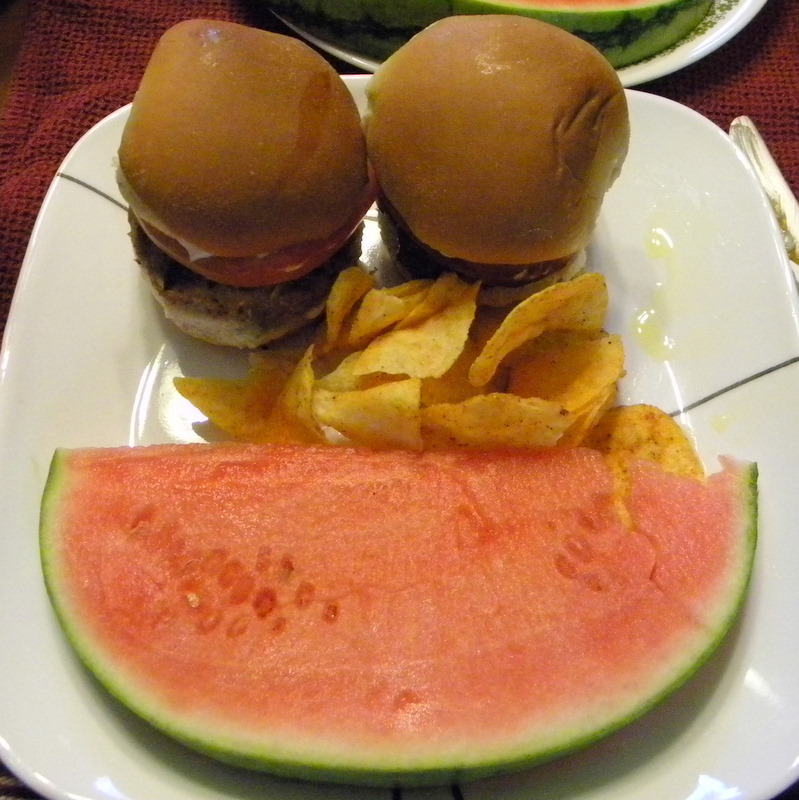 and prep the watermelon, corn a a cob, pasta salad if you are not lazy, and some BBQ chips. Viola! yummy BBQ dinner! I only topped mine with a tomato … hubby used an onion also.. lettuce would have been lovely… of course we had mini hamburger buns (whole grain~!) Yummy! seriously my kids ate fairly quickly and said it wasn’t their favorite… but … they ate quickly?? =) just sayin… quick and not liking don’t usually come hand in hand! slivered almonds if you wish..
And we Finally have SUN to enjoy here in Washington! yippie! hope your yard sale goes well… lots of great finds there, well maybe with the exception of the monkey lamp… that’s just odd. and Jen has inspired me to try turkey/chicken burgers again… just haven’t found the right time/motivation yet. maybe this weekend? 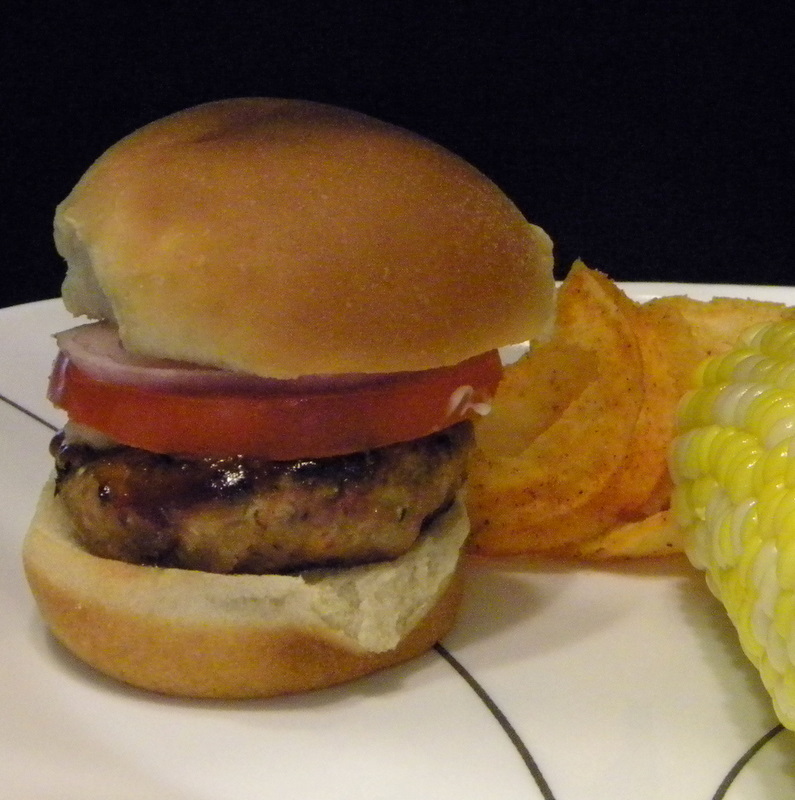 so glad i could inspire you to try turkey burgers again! they look delish. and those desserts……oh my! 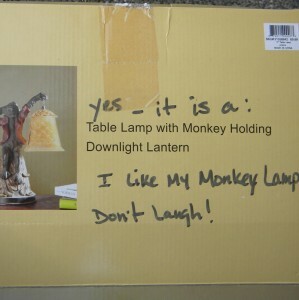 hope your garage sale goes well. 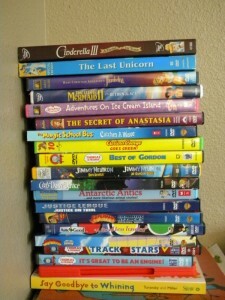 i see a few items that look very familiar! Those turkey burgers sound awesome, and they look so good, too! Glad to hear ya’ll had a productive weekend. Our garage is much the same, only it’s full of Hubby’s tools. Tools, tools, tools. Oh my. One time I was able to part my car in there. I have some postcards to send your sweet kiddos project, but I accidentally deleted the email you sent me with the address!!! So, if you can send that to me again, I’ll make sure they’re on their way pronto. 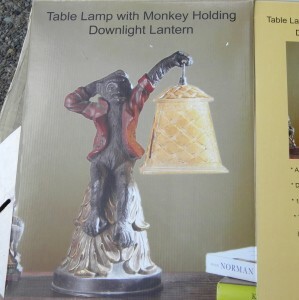 I love the monkey-man-lamp, too! And, the Nutella recipe sounds awesome!! Hi! Great job on the garage! 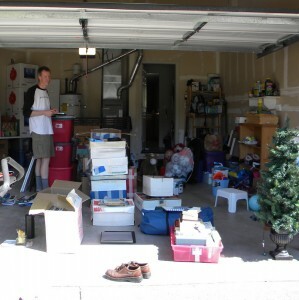 We just finished a major garage clean out also. Cobbler looks awesome. I never have been able to give up a beef burger to try a Turkey burger, but looks great! um YUMO! I love the idea of the resees, they look better in person 🙂 I love that your baby girl is doing well at soccer-it is so hard when you struggle at a sport (being a girl) so GOOD for her! Looks like you had a productive weekend, mine was definitely not. Also do glad hubs found his ring!!! I’ll bet you make a ton of cash for camping! 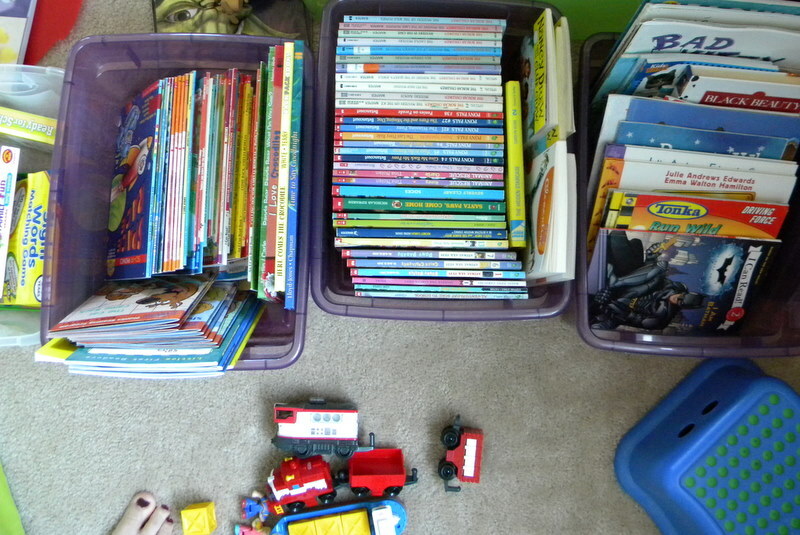 I hate all the work of garage sales, but they do pay off! 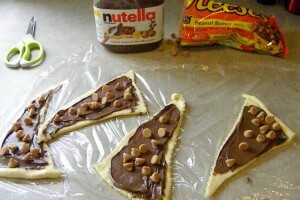 I have a bunch of Nutella so I just copied that recipe! It sounds like an incredible weekend filled with all sorts of finds! So glad that your hubby found his wedding ring. I can only imagine how bad he felt. I left you an award on my blog! Hope you have a great week! Hey, I wanted to get back to you on the Lemon Pie recipe. I had probs with it setting and so did Nancy from the Goat and the Kid. I haven’t made it in years, so I didn’t remember this problem. TO fix it, maybe cut back on the milk by a quarter to a half cup, or if you prefer it to be less tart, drain a little liquid off the lemonade before adding it to the jello. Hope it turns out well for you. Even if it’s runny, it’s still DELICIOUS!!! Oh I looove turkey burgers! In fact, now I think I need to make them this week. You are always cookin something good. 🙂 I make mine very similar. I usually throw in an egg, 1 green bell pepper, a handful of chopped mushrooms, worshcestire (a splash or two), and salt and pepper, and whatever other seasonings I feel like. How cool that your hubs found his wedding ring!! That was lucky. I have a friend whose husband lost his at work and he also rented a metal detector to try and find it! 🙂 We LOVE nutella here. Crazy crazy crazy about it. 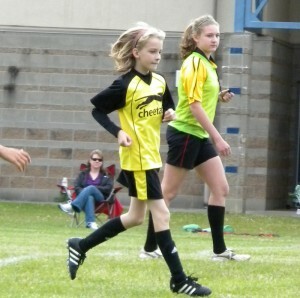 Yay for your little soccer girl! So much fun to watch them be amazing, isn’t it?! 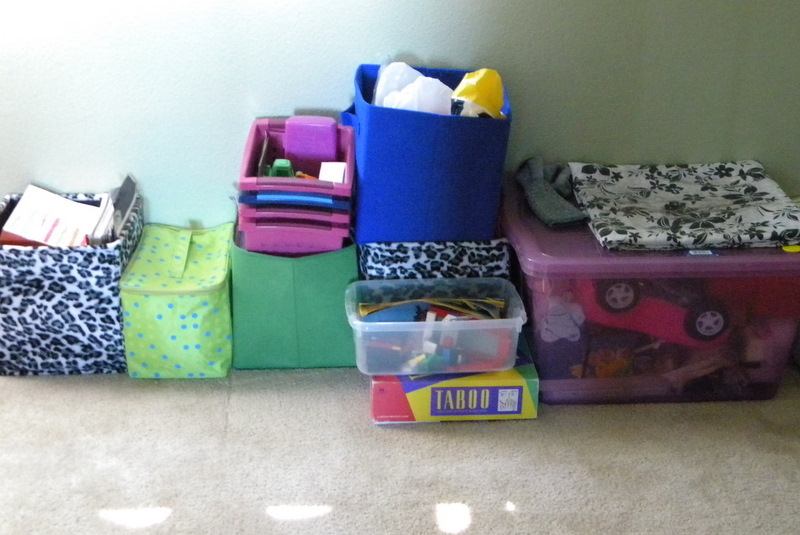 I need to organize my house so badly. Wanna come help me do mine next?! I am horrible at it. Horrible! 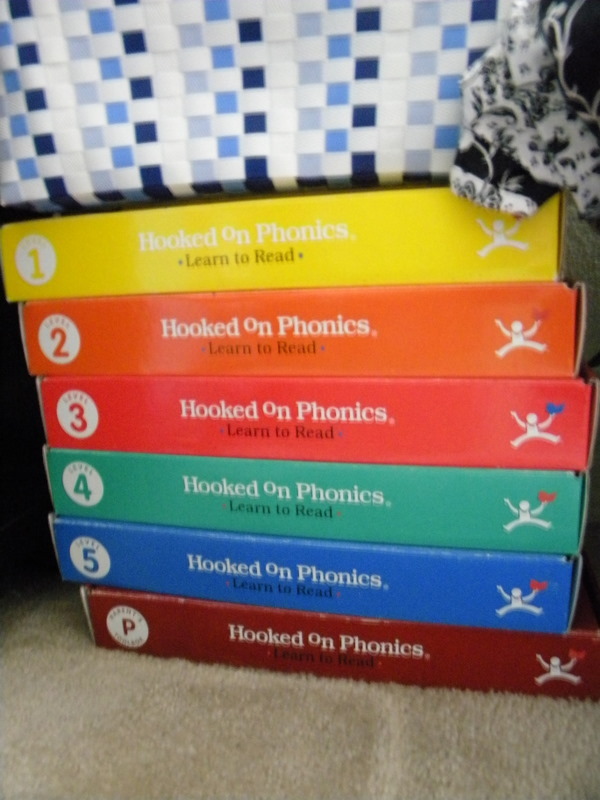 O.K…girl..your posts really pack a punch!! Holy cow..you were busy this weekend. And can I say…I want to be at your garage sale. I want those early readers pretty please!! Thomas the Train has “grandkids” written all over it!! Don’t ya think. 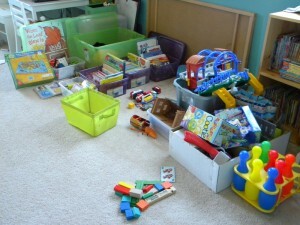 Some of my kids favorite toys are the ones my mom kept. They love going over to her house and playing with her vintage toys!! So glad hubs found his ring. And…I’m gonna try those burgers. They look so good and I haven’t had much success with turkey..(my hand just accidentally typed TURDY) in the past. Good luck with the garage sale. My garage needs a good sort out too. Your turkey burgers and nutella treats look delicious. 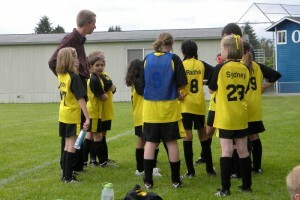 Your daughter is doing great with soccer. Loved seeing the pictures of her playing. Glad your husband found the ring. That was so lucky. Getting hungry when I see the burger…a shame I can’t download one…. I’m so glad Wayne found his ring!!! Those burgers look delish… are those Hawaiian Sweet Roll buns? Those are my new favorite craze. A weekend of cleaning out the garage. Let me just say, “dreamy!” That is my kind of weekend. 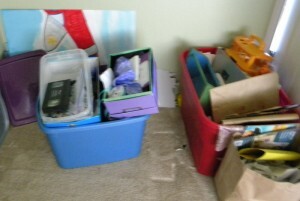 Forget the parties, bring on the organization. Good luck on the sale. I hope the Hooked on Phonics gets some sweet cash! That is amazing that he found his ring!!! Isn’t WA a lovely place to live this week? 😉 Good luck with your garage sale! Looks like you’ve put a ton of work into it.